Revision Rhinoplasty - I think Dr. Winslow and her staff are the best! As this is my second experience with them it wa great as usual! Everyone is so polite and they compliment you as soon as you walk in the door! I like going to Dr. Winslow because there is not judgment or intimidation factor. I am normally a pretty shy person but I felt so comfortable explaining my insecurities about my nose with her! She goes over the procedure in detail with you and makes you feel very well prepared for your surgery! Love this place! Chin Implant - She really explains everything that you need to know but she also listens to what you want. She also was one of the very few surgeons that I saw many before and after pictures of other young men. I really wanted someone who specialized in my exact needs. 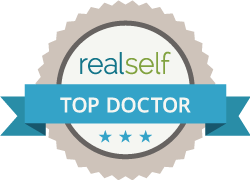 Rhinoplasty – Dr. Winslow is very nice and doesn't make you feel bad about yourself. I didn't feel intimidated to express to her exactly what I wanted. She is great. Rhinoplasty – Dr. Winslow was born to be a surgeon!!! Lol ... Wow .. Was I nervous at first ... Being African American I've seen horrible rhinoplasty work from surgeons. I had researched inquiring about rhinoplasty for years and Dr. Winslow is the best surgeon !!! Hands down !!!! She is a talented well respected lady. If you are considering rhinoplasty and have concerns like I did I promise .... I'm not getting paid for this and I'm a real patient !!!!! Dr. Winslow is the bomb!!! She is the best rhinoplasty surgeon Indy has to offer. I started coming to this office when I lived in Indy and have been so satisfied and happy that I continue to come back even though I have now moved out of state. Dr. Winslow and the staff have been beyond sweet and welcoming since the first day I entered the building. Triste is fricken amazing with her Botox work; I'd recommend her to anyone anywhere. Dr. Winslow's surgery on my earlobes still impresses me almost 4 years later. The front-desk staff have never let down their guard, remaining sweet and humble even when through the wildly inviting open houses (front desk is a hard job; I know because I have worked it before and multi-tasking isn't easy-especially in a clinic like this!) Every person working is this office is what makes me come back time and time again, even if I have to drive for hours. Thank you Dr. Winslow and Triste, and all the rest of the staff for introducing me to this in the most optimal way I could have ever asked for. My name is Janet and I am a male to female transgendered person. I had several options available to me to complete my transition. I had heard several complimentary things about Winslow Facial Plastic Surgery© and made an appointment for consultation. As a transgender I tend to be wary of professionals because not all approve of those of us who are changing our gender. Sometimes that disapproval ranges from cool professionalism to outright disdain as if they would prefer I go elsewhere. After receiving a date for my initial visit I met with two ladies who could not have treated me with more kindness or understanding. They immediately put me at ease and treated me as one more woman who was there for information on life changing surgery. Dr. Winslow was all I hoped for and showed me how she could change my appearance to be more feminine. The Staff at the desk also treated me so kindly that I admit I was overwhelmed by their concern and helpfulness. Because of the kindness and compassion for me as a transgendered I decided to pursue a wide range of surgical options for my face. I almost felt like I was a member of the family because of the care and compassion I was shown. My surgery was November 15th. As pleased as I was with my treatment during initial visits, I have been completely overwhelmed by the treatment during my after care. The surgery has changed my life drastically for the better. I no longer wonder if I'll pass now because people now look at me and see a female. To a transgendered female that is quite important and greatly rewarding. In closing I would urge any prospective Winslow patient to proceed with their treatment. To say that I love each one of the Staff as a friend and sister is an understatement. Kindness and compassion are routine at Winslow Facial Plastic Surgery© and those traits affected me deeply. I will, finances allowing, pursue more procedures there and only there! Phenomenal surgeon, a staff that is beyond impressive. I've never left here unhappy. Prices are incredibly reasonable and they are constantly having holiday packages at a discount price. I never feel rushed when I'm here. Dr Winslow and her staff treat me like I'm the only patient that matters. I cannot rave enough about how incredible this facility is. Botox is typically under $15/unit and Juvederm is around $4-500/syringe. Radiesse is a bit more, but the injector is an expert and I always leave looking and feeling like a supermodel. Dr Winslow and her team not only did an exceptional job with my procedure but made me feel comfortable and secure that the results would be exactly what I wanted. Not only do I look years younger but feel confident and happy with the outcome. 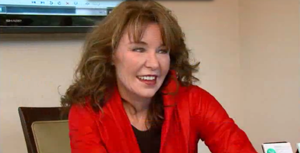 I would recommend Dr Winslow and her team to anyone looking for a professional,competent group to enhance their looks. A friend of mine once said that a surgeon and fighter pilot must share the same type of personality: fearless, confident, determined, competent, and perfect. While I understand you were a Major in the United States Army and Chief of Facial Plastic and Reconstructive Surgery at Walter Reed, facts which I discovered on my own because they are no where evident in your office, I suspect that my friend's analysis is accurate in describing you, as a surgeon. The attributes which fighter pilots are not known to possess, but which you exude are kindness, gentleness, and a genuine caring for your patients. In your taking care of me, I felt like I was your only patient. You could not have made me feel more comfortable and at ease with the procedure or the recovery. As far as I am concerned, you set the standard. I would, without question or qualification, recommend you to anyone desiring your services. I just had to write you a note and tell you that it took my husband and my (also carded - 26 year old) daughter to convince the waiter last night that I was old enough to drink. At age 54 it didn't occur to me that I would need my ID if I ordered wine at the restaurant! In retrospect, I really should have said, "Never mind, you caught me -- just bring me a diet coke!" This also happened several months ago when I bought a bottle of wine at Safeway. I did have my ID then. Boy that sales gal was surprised! I thought it would never happen again until last night. Anyway, I just thought you should know! THANK YOU so much again! This is FUN! Dr. Winslow is a hugely talented perfectionist with a gentle touch, a sense of humor and a caring manner. I was amazed that she was able remove a bump on my nose with minimal bruising. I have found her to be forthright on the pros and cons of such procedures as the threadlift and thermage. As a woman, she relates particularly well to her patients. Triste' is highly capable, energetic and fun. She is informative and takes great care of her patients. And Kate is amazing. She possesses an artist's touch to properly arch and shape the brows. Then she is able to apply the permanent makeup without inflicting pain. I love these people! I would like to be placed on Dr. Winslow's mailing list. My visit yesterday is still on my mind. A fan of the results of injectible fillers, I am not a fan of the procedure, i.e., hate needles, low tolerance for pain, anxiety. 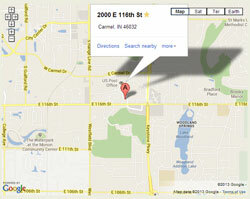 Looking for more personalized service, (meaning more gentle and attention to details), I gave your office a call. I cannot remember a more pleasant experience. You didn't rush, gentle, and made me feel that I was your only patient. Your staff is terrific, especially Triste, even though it was difficult to quit laughing! Thank you for standing out in this city as a truly caring physician. Hey, I feel great, and so happy that I got the surgery done. You guys did an excellent job. I just love all of you!!!!! To a very fine Doctor and her staff. Thank you so much for the amazing gift, your kindness and Generosity is so much appreciated. I just wanted to let you know that I had a "Fantastic Experience" at your July Seminar. Your staff made me feel very welcome and comfortable. It was a lot of fun too. This was my first time at your office & I received BOTOX® injections. 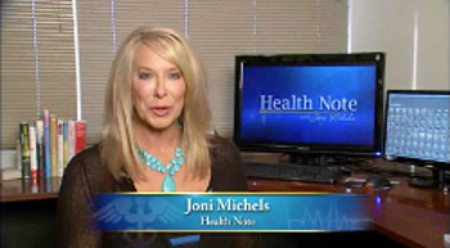 I had received BOTOX® injections before from another physician whom also hosted an office seminar. But I have to say, the injection technique that your RN used on me far exceeded my previous injections and your seminar was more welcoming. I just wanted to say thank you! I will definetly be back and I have told all my friends about my experience, too. 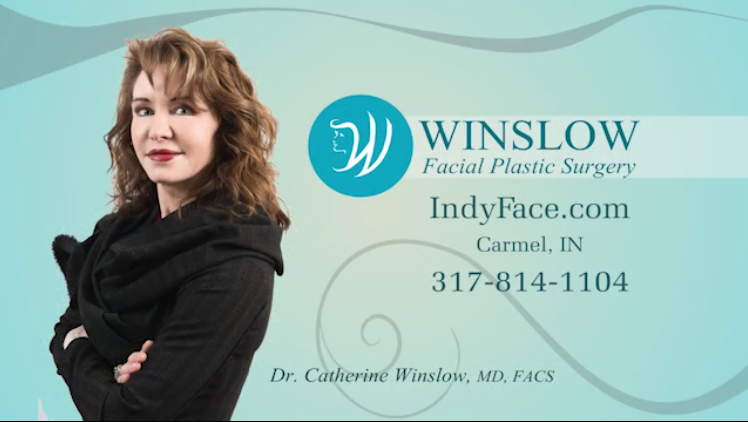 I believe in Dr. Winslow, and would not go to any other Dr. for facial plastic surgery. Also, Thank you for the courteous and prompt treatment in the office. Your kindness, understanding and professionalism is greatly appreciated. You guys are WONDERFUL!!! I can't think of any other business that has better personnel......and I am not the only one that feels this way.....I hear this all the time at the open house!!! If there is an award out there somewhere to vote Indy's Best....I need to send your office's name in! I'm Serious! I have known a lot of doctors at their best and worst and as a whole this office is outstanding for its honest outcomes. 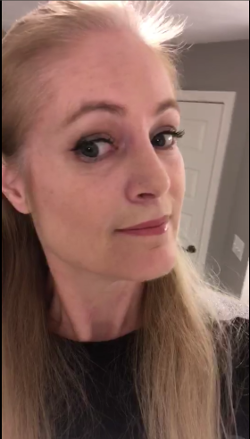 I am only 10 days out from my surgery and I just had to call in and tell you that I am getting compliments from strangers. I had a carpet cleaning service come today and the man whom I have never met wouldn't believe that I was as old as I am! I also visited a friend who works on the IUPUI campus and a 22 year old boy was talking to me like I was a college student! I am so excited about my results and so unexpectedly pleased at just 10 days. Thank you for the wonderful experience and successful outcome with my recent procedure! I couldn't be happier! The entire process was easy and painfree. I was pleasantly surprised how positive it was and that's due in large part to the friendly staff, Dr. Winslow's background and credentials and the strong preparation. I would like to take this time to thank you so much for everything!!! I am very happy with the results of my surgery! When my dauther saw me 2 weeks after my surgery, she said, "Mom, you look awesome!". "I would trust Dr. Winslow with my face when the time comes!!!" 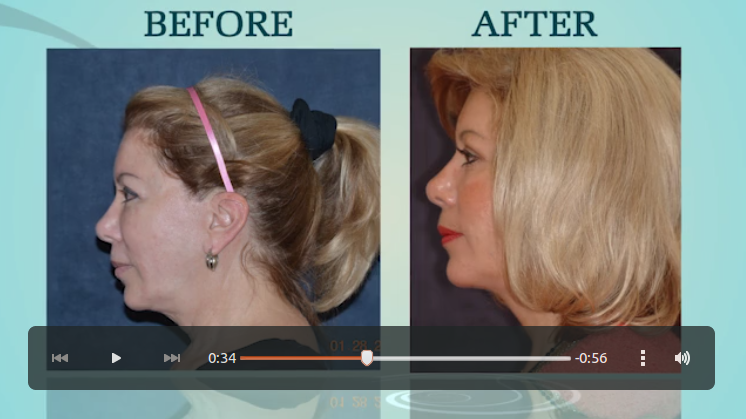 I would recommend Dr. Winslow and her team to anyone thinking about facial surgery. Triste, Just wanted you to know that I love the BOTOX®! Excellent job! I have a little spring in my step about the lovely lift of my brows :) It's perfect - not too much, not too little!